I continue to be drawn to clarity and simplicity. ‘Less is more’ remains my mantra. We often play around in the kitchen trying to recreate traditional recipes by stripping away the complexity and giving them a healthy whole food plant-based makeover. This recipe was inspired by the popular Girl Guide cookie called Somas. Although I have personally never sold Girl Guide cookies, nor have I ever eaten very many of them I know that many people enjoy them and I can tell you that this simple recipe won’t disappoint. Why do we like these cookies? 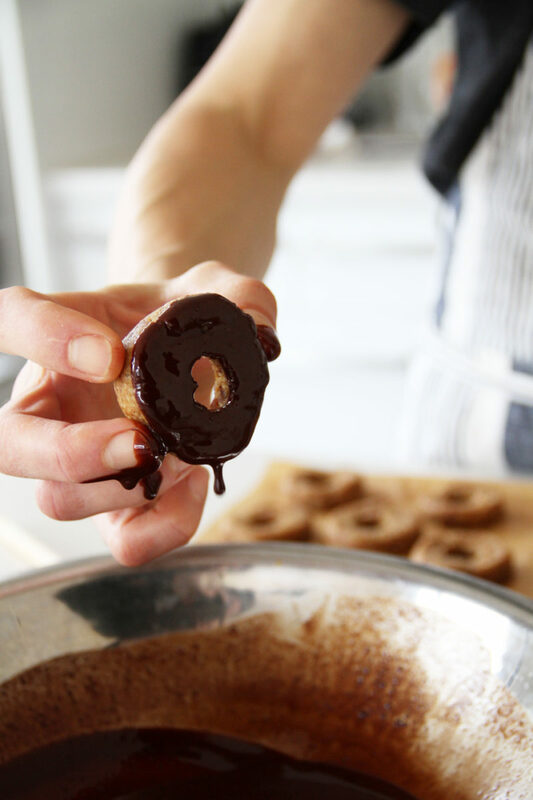 Well first off they are simple to make and you only need 5 whole plant-based ingredients, no additives, no sugars, no unhealthy processed junk food. Sugar, vegetable oil (palm kernel, palm and soybean oil), enriched flour (wheat flour, niacin, reduced iron, vitamin B1 [thiamin mononitrate], vitamin B2 [ riboflavin], folic acid), corn syrup, coconut, sweetened condensed milk (milk, sugar), contains 2% percent or less of sorbitol, cocoa, glycerin, invert sugar, cocoa processed with alkali, cornstarch, salt, caramel color, dextrose, natural and artificial flavors, soy lecithin, sorbitan tristearate, leavening (baking soda, monocalcium phosphate), carrageenan. On the other hand, our version is much more simple – just a combination of organic dried apricots, coconut, maca, lime juice and sea salt. That is it! And they taste like heaven in a mouthful. If you feel inspired and have an extra 10 minutes to spare you can drizzle each cookie with melted raw vegan dark chocolate. 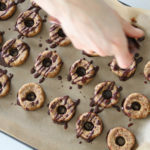 This is a totally optional step that will add a nice touch to this OIL-FREE, SUGAR-FREE, GLUTEN-FREE and SUPER delicious cookie. These superfood enhanced apricot maca-roons are the perfect snack to fuel your active plant-based lifestyle. Place all of the ingredients in your food processor fitted with the s blade, and pulse until well combined but still little chunky. Remove from food processor, roll 1 Tablespoon-size piece of dough into a ball and then shape into a round cookie. Using a straw or chopstick punch a hole in the middle of the cookie. Move the straw/chopstick around a bit to make the hole wider, if needed. You might have to reshape the cookie a bit if you want an even shape. 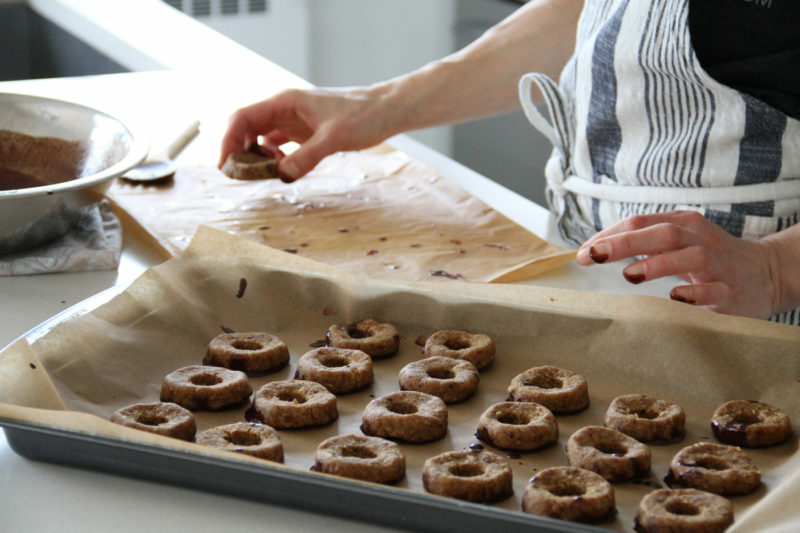 Place each cookie on a baking tray or cutting board lined with unbleached parchment paper. Once all cookies are shaped transfer the tray to the freezer for 20 minutes to harden up a bit. If you fancy the chocolate drizzle, now is the time to get on it. While the cookies are in the freezer add chocolate pieces and coconut oil to a shallow heat-safe bow. Then place the bowl in a shallow pan containing a small amount of warm (not boiling, but nearly) water. Stir the oil and chocolate occasionally until it’s smooth and ready for drizzle. 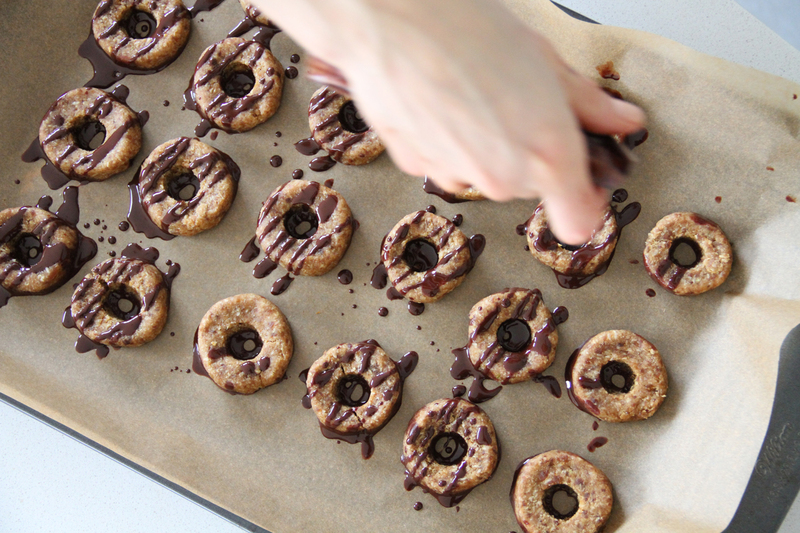 Remove cookies from the freezer and dip each one in the chocolate to coat the bottom. 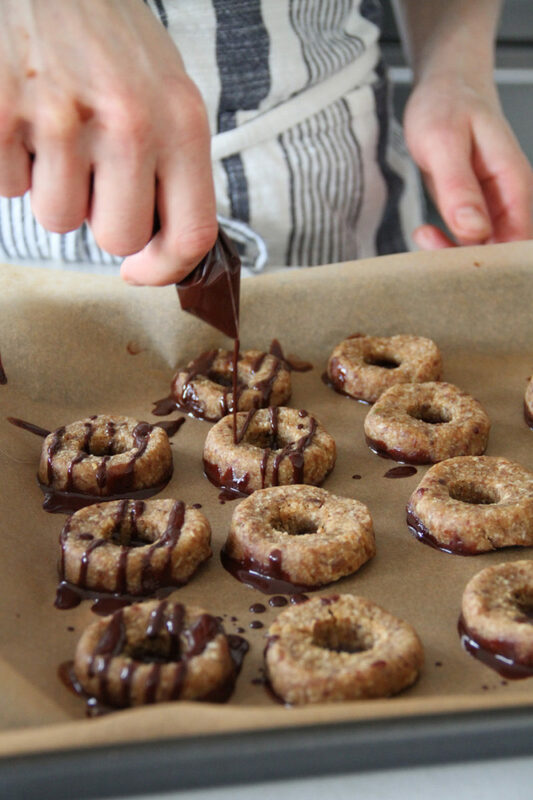 Place cookies on the parchment and use remaining chocolate to drizzle over top the cookies. Transfer cookies back into the freezer for another 10-15 minutes to let the chocolate harden. Remove the cookies from the parchment paper and store in a sealed container in the fridge or freezer for up to one week. When selecting Maca powder, choose the gelatinized form. This process removes the hard-to-digest starchy component of the maca root. For more simple wholesome goodies, be sure to check out our Raw Superfood Truffle Balls, Superfood Energy Bites, Chocolate Chip Cookie Dough Bites, or Carrot Juice Pulp Cake Rolls!